What a dream this wedding was for Tyler and Catherine! They met the summer before starting their freshman year at Miami University in southwestern Ohio! Tyler, originally from Columbus, met up with Catherine at a Taylor Swift concert that summer. The rest for these two is history! 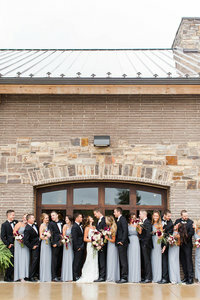 Tyler, Catherine, their parents, and their bridal party stayed at one of the gorgeous Villas at Gervasi. When I walked into the Sorrento Villa, I was greeted with hugs from a very excited Bride-to-be! Catherine was beaming from ear to ear with anticipation of seeing her Groom. 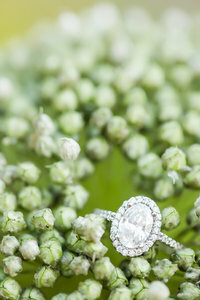 I quickly got to work photographing Catherine’s delicate details. Her wedding invitations incorporated the simplicity of the Weeping Willow leaves. A feature of Gervasi that Catherine fell in love with when she and Tyler first visited Gervasi. It was also important to Catherine that her bouquet included greenery that resembled the simple leaves, as well. 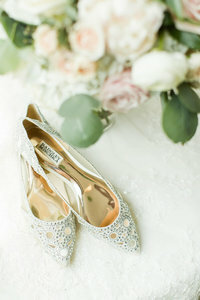 I say Amy from Bouquet Studio and her team nailed that look beautifully! After Catherine finished getting dressed, she opened a homemade gift Tyler made for her. I’m sure you’ve seen the idea on Pinterest, but Tyler managed to go above and beyond this sweet gift idea. He took a deck of cards and included their firsts as couples. He thought of everything from their first Facebook messages, to text messages, to vacations. He managed to remember all the minor firsts to all the big ones. Tyler’s handy work certainly put a smile on Catherine’s face that shined brighter and brighter! That smile never left Catherine’s face on her wedding day! 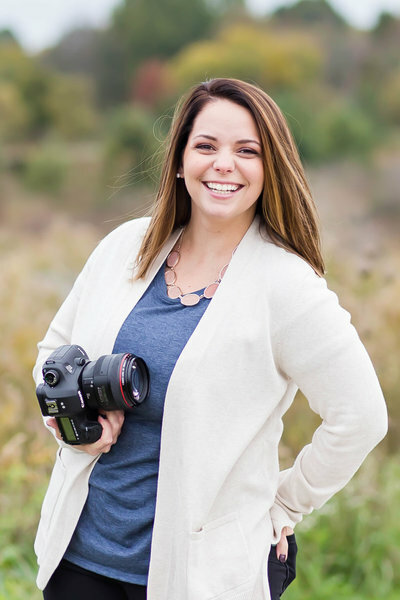 My favorite smile was the one she was wearing when she and Tyler shared their first look! 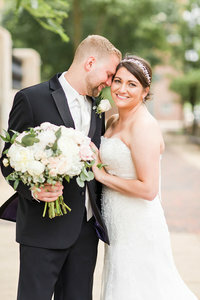 Their intimate first look was shared outside of their Villa overlooking Gervasi’s small lake. I could barely hold back tears as Tyler let his quietly fall down his cheek as he looked in amazement at his stunningly beautiful bride! These two kind people certainly could not have asked for a better day to get married at Gervasi Vineyard. We finished off their wedding day with sunset photos in the vineyard! I could not have imagined a better way to leave those two for the evening than with those stunning photos!